It’s summertime. Vacations abound, so you’d think that out-of-office auto-reply emails would be just as numerous. Think again. It seems as if they’re on the decline, just like the length of time that we see the sun now that we’ve passed the summer solstice. That’s frustrating for people like me. We could adjust our plans if the vacationers let us know that they’re away. Instead, we’re in limbo. I’m not alone in my perception that out-of-office messages are less common. My LinkedIn status update on this topic attracted many likes and people saying that they’ve noticed this phenomenon. It also scored more than 2,500 views, which is huge for me. What’s behind the out-of-office auto-reply’s decline? I blame the decline of out-of-office messages on the rise of the smartphone. Now that people carry their email everywhere, they think they’ll reply from vacation. They may not plan to reply to every email, but at least to important ones. However, desire seems to collide with vacation-induced inertia—or the judgment that emails like mine aren’t important. If someone is anchored to mobile only, it can be tricky handling out-of-office messages. Some accounts do not allow for the Automatic Replies feature in Outlook on mobile, for example, when they are not powered by an Exchange server. A little how-to prep can fix this, though. Even simple POP and IMAP accounts (for example, if you have a GoDaddy domain that also anchors your email accounts in a small business) offer web access to the setting that enables out-of-office responses. In general, though, most mobile apps do allow for setting up mobile out-of-office settings. This includes iCloud, Gmail (free and professional), as well as the aforementioned browser access. If this discussion of servers and domains confuses you, you’re not alone. There are people who struggle to follow instructions to set up auto-reply messages. I have one friend who relies on a helper to set up auto-reply messages. Some people may avoid setting up auto-replies because they don’t know how to create them. Another potential culprit: the explosion of spam. Graphic designer Karen Coleman said in response to my LinkedIn update, “I don’t like auto-responders going from my email account. I don’t want it going to spam bots so they know the email is active.” She’s afraid she would receive even more junk emails if she used auto-reply messages. When do you need an out-of-office auto-reply strategy? I don’t believe that you need to turn on your out-of-office message when you’re out of the office for only one day. But if you’re out for an entire week, it’s polite—and good for business—to let people know that you won’t be reading or responding to email. With the expectation of an immediate reply, an out-of-office auto-reply can be quite helpful. The challenge is the message needs to be more than “Thanks for your message, I’m not here.” Beyond explaining when to expect a reply and an alternate contact, if available, it must also be on-brand. This is key to engagement. If you can’t or won’t respond to email from vacation, then set up a workaround. For example, you could ask a colleague to monitor your email. If you’re a solopreneur, you hire a virtual assistant to check email for you, as Coleman suggested in her LinkedIn reply to me. This gets around the concern that an out-of-office message will alert thieves that their homes are ready to be robbed. https://www.investmentwriting.com/newsite/wp-content/uploads/2017/07/pool-690034_1920.jpg 1280 1920 Susan Weiner, CFA https://www.investmentwriting.com/newsite/wp-content/uploads/2016/12/investmentwriting_logo_2016.png Susan Weiner, CFA2017-08-01 05:51:572017-12-15 15:48:49Out-of-office auto-reply: vacation necessity? “I NEED HELP!” This line will get your email recipient’s attention. But email help requests that sound this desperate won’t get the results you seek. Nor will requests that are too subtle. Strike a balance to achieve the best results. Let me illustrate what works—and what doesn’t—with a before-and-after example of a financial professional’s email request for help. Imagine that you’re a financial blogger asking respected experts to contribute to an article, and you need their responses by a specific date. How would you tackle it? The writer of “Email help request 1” makes mistakes. I am writing the latest article for my blog, which I update weekly. I think it would be great if you could contribute something to my blog. My readers are interested in saving for retirement and you write a lot of articles about retirement. Your good name could help me get better known in this space. Could you send me your opinions on what works in terms of rolling over a traditional IRA into a Roth IRA? It would be great if you could reply by the second week in March. Compared with “Email help request 1,” the author of the next email writes in a way that’s easier for the recipient to understand. Re: Answer Roth IRA question by March 6? Our mutual friend, Janet Brown suggested, I contact you because she thinks you would be a great expert to contribute to my blog. Also, she experienced a boost in her e-newsletter subscribers after contributing to my blog last month. 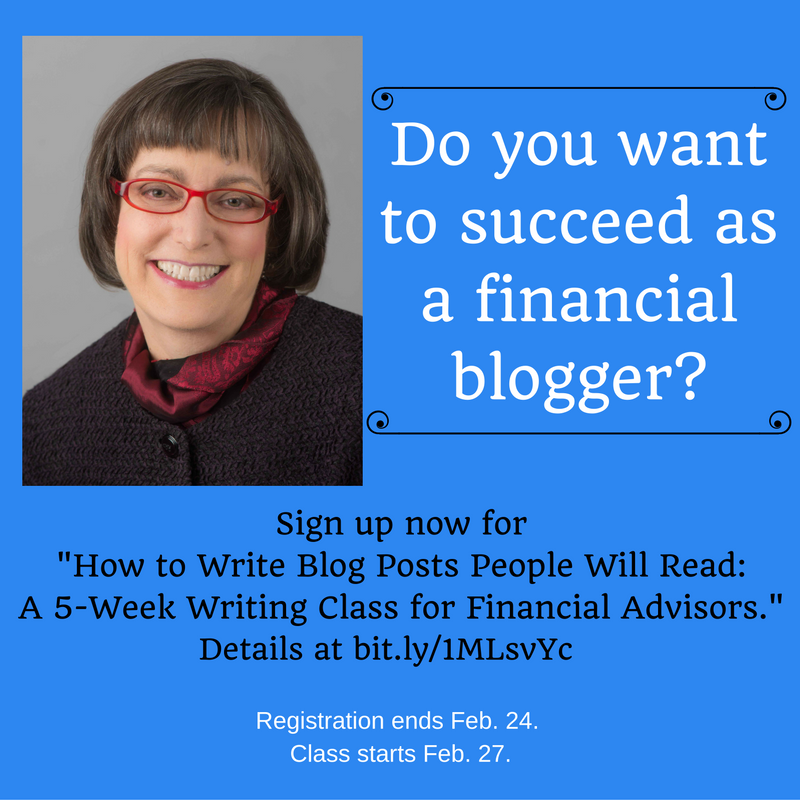 By Tuesday, March 7, could you briefly answer my question about Roth IRAs, so I can incorporate your answer into a blog post? Here’s my question: How does an individual’s number of years until expected retirement affect the attractiveness of rolling a traditional IRA into a Roth IRA? After I compile my blog post, I will check to make sure that I’ve presented your views accurately. My blog receives 5,000 views monthly, and my target audience of dog-owners in their 50s and 60s for my financial planning business seems to overlap with your target as a consultant. I’d be happy to link to your website and feature your photo in my blog. Please let me know if you have any questions. I’ll call you next week if I don’t hear from you. 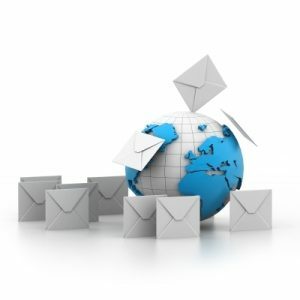 What makes an email help request effective? I believe the second email request will be more effective than the first. Why will the second email work better? The subject line clearly identifies the reason for the email. The first paragraph establishes a relationship between the writer and the recipient, by referring to their mutual friend. The second paragraph says exactly what the writer is seeking, including the deadline for a reply. Breaking the email into paragraphs makes it easier for the recipient to absorb the information. The first email is too self-centered and makes the reader work too hard to figure out what the writer wants. A good personalized subject line can boost your results. But mess up the personalization, and you’ll lose. It’s great to tweak your email subject line to appeal to a specific recipient. For example, if you know the recipient’s hot button, include it in the subject line. Another approach is to name the person or their organization in your subject line. There’s some data to support this approach. For example, “Including the recipient’s name in the email subject line increased open rates–some by as much as 42%,” according to Experian data cited in “How Pairing Personalization & Automation Can Skyrocket Email Conversions” on the Kissmetrics blog. I assume there’s a similar effect when you personalize other information in the subject line. But you need to proofread carefully so you don’t personalize for the wrong recipient. A bad subject line (and email body) can send your email to spam. A badly personalized subject line can doom your email to stay in spam. That’s true even if your email is relevant to the recipient. Today’s blog post is inspired by an email that was sent to me in my role as the editor of the NAPFA Advisor magazine. I found it when reviewing my spam folder. The subject line read “Idea for timely content/article for ZZZ Magazine.” The subject line said “ZZZ Magazine” where it should have said “NAPFA Advisor.” I don’t know if that’s why the message went into spam. But the wrong name in the subject line didn’t inspire me to click through on the email. Putting the wrong name in the subject line puts you on the quick path to an email trash folder. Proofread, proofread, proofread. That’s the best way to avoid mistakes in your personalized subject line. Another possibility is to automate the inclusion of personalized information in your subject line. Some email programs allow you to do that in a twist on the mail merges you may know from word processing. Although I argue for personalization in this post, the evidence is mixed on adding the recipient’s first name to your email subject line. A MailChimp blog post says that subject lines using first names performed worse than those without first names. The blog suggests that names take up space without adding value, according to “Personalizing Subject Lines – Does It Help Or Hurt Open Rates?” The post appeared in 2008, so it’s possible that things have changed since then. What’s my take on this debate? Rote personalization—like simply adding the recipient’s name to the subject line—may not work. Personalization that truly appeals to the individual’s interests is powerful. I would have responded differently to an email that correctly named my magazine in its subject line. Quit sending press releases as attachments! If you think my first paragraph is sarcastic, you are right. I do not recommend sending press releases as attachments. It is annoying to receive press release emails—indeed, any email—that refer you to an attachment for a reason to learn about the sender’s news. When you send press releases only as attachments, you’re making me 1) take an extra step to find the information I need and 2) expose myself to the risk of viruses in the attachment. My attention span, like that of most email readers, isn’t very long. “Our initial data indicate that, on average, readers are spending 15-20 seconds on each email they open,” said Loren McDonald, EmailLabs VP Marketing in “Alarming Research Results: Average Email Open Time is 15-20 Seconds — Recommendations for Emailers.” That article appeared on MarketingSherpa back in 2005. I imagine that readers’ attention spans have only shrunk since then. If I must click to open your press release sent as an attachment, you’re demanding too much of my time. At a minimum, you should insert some teaser copy in your email that gives me an incentive to click. However, even better would be to drop the body of your press release into the body of your email. Concerned that you’ll lose valuable formatting by dropping your text into email? Then use newsletter software such as MailChimp or Constant Contact to increase your control over the appearance of your release. https://www.investmentwriting.com/newsite/wp-content/uploads/2016/11/Depositphotos_127542360_s-2015.jpg 500 500 Susan Weiner, CFA https://www.investmentwriting.com/newsite/wp-content/uploads/2016/12/investmentwriting_logo_2016.png Susan Weiner, CFA2017-01-17 05:23:112016-12-08 13:24:50Quit sending press releases as attachments! Email inbox efficiency–can you go too far? Email productivity is a goal of most people whom I know. We all receive and send too many emails. But how far are you willing to go to trim the amount of time you spend on email? 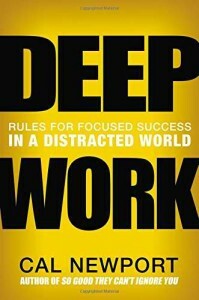 It’s the rare person who’ll go as far as Cal Newport recommends in Deep Work: Rules for Focused Success in a Distracted World. Could YOU apply this Deep Work email rule? I can see how Newport’s rule boosts his email efficiency. I could dramatically cut my email volume if I ignored ambiguous emails. But I can’t envision myself applying Newport’s rule often. I need to respond to clients and prospects. Your ability to apply this rule at work depends on your relative status and role in the company. If you’re a company’s top dog, you have more leeway than a lower-level person who’s serving clients. Still, perhaps you can alter your behavior on the margin. I like how Newport’s book makes me question my assumptions about my daily work routines. Disclosure: If you click on the Amazon link in this post and then buy something, I may receive a small commission. I only link to books in which I find some value for my blog’s readers. https://www.investmentwriting.com/newsite/wp-content/uploads/2016/04/deep-work-carl-newport-book-cover.jpg 500 331 Susan Weiner, CFA https://www.investmentwriting.com/newsite/wp-content/uploads/2016/12/investmentwriting_logo_2016.png Susan Weiner, CFA2016-09-06 06:43:092016-07-18 16:28:38Email inbox efficiency--can you go too far? Whether you’re an investment or wealth manager—or a professional or vendor who supports them—you can probably benefit from an email productivity booster. Take advantage of Microsoft Outlook’s “signature” feature to summon up basic email templates at the click of a button. I imagine that other email programs may offer a similar feature. If you’re like most of us, you have emails that you send repeatedly, with minimal variations. Maybe it’s a prospecting email. Or a new client welcome email. Or an email asking if you can update the recipient’s contact information. You shouldn’t start from scratch every time you write an email. You waste time repeating steps that you’ve already gone through many times before. Sure, you can save templates in your word-processing software, but it’s even more efficient to use one of Microsoft Outlook’s underappreciated features, the signature. Did you know that you can save an entire model letter in Microsoft Outlook as a so-called “signature”? Most people use Outlook’s signature feature to insert classic signature information, such as your name, contact information, and other promotional information details that go under where you sign off with your name. But, as I learned from organizer Lorena Prime, you can use the Outlook signature for much more. As you’ll see in the image below, I turned an entire email into an Outlook signature. After loading an email as an Outlook signature, it’s easy to customize and send. Go to the Insert tab, then click on Signature to view a drop-down menu of the signatures you’ve previously saved. This is way faster and easier than writing an email from scratch. It’s even easier than copy-pasting from a Word file because I’d probably forget where I saved the dratted model email. Here’s what Microsoft says about creating signatures in Outlook 2013 or 2016. YOUR email productivity booster ideas? If you have ideas for boosting email productivity, please share them. Of course, sometimes the best productivity booster is to keep your email closed and pick up the phone for a quick solution to a pressing problem. “Where’s my contract?” A friend’s question about his missing contract inspired this post about the value of structuring your emails properly. The email’s details have been changed in my account. I don’t believe in embarrassing people, especially since I’ve made so many mistakes myself. The problem started when my friend sent a polite, friendly email with the terms of his agreement with his new client. They’d discussed the terms in a friendly telephone conversation, so he didn’t expect any problems. But a week passed with no follow-up communication from the new client. What went wrong? I immediately suspected a problem that I’ve encountered in financial advisor emails that I’ve reviewed as part of the research for my presentation on “Writing Effective Emails.” The email was too polite and friendly. It was so nice speaking with you today. I look forward to working with you on X, Y, and Z.
It’s a great idea to summarize your conversation with the client in your email. However, email readers tend to focus most on the beginning of an email. My friend’s recipient may never have reached the part of the newsletter where he asked her to reply with an email confirming that she accepted his terms. In other words, the email didn’t make it easy for the reader to grasp what action was required. Two changes could have boosted the likelihood that my friend would receive the response he desired. This kind of email makes it easy for the recipient to understand what you want from him or her. You’re showing respect for the person’s time by clearly specifying the next step. This kind of action-oriented email may seem cold to you. But it gets results. 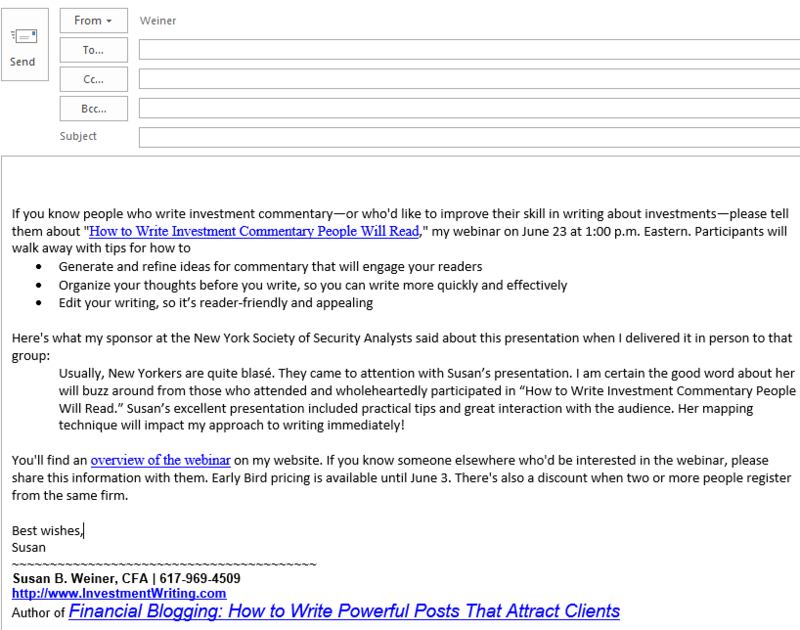 Also, you can drop the warm and fuzzy content into your email in a less prominent position. 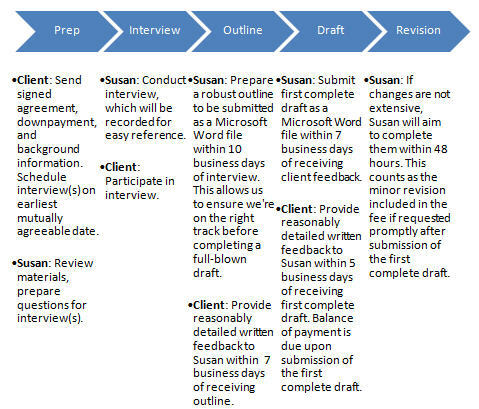 You don’t have to come across like a robot when you write action-oriented emails. However, I try to balance that by naming an action in my email subject line. Whether you’re all business or incorporate some niceness, please write in a way that highlights the next step that your email recipients should take. You’ll make their lives easier and you’ll get more of the results that you desire. Mobile-friendly emails are essential. Your clients, prospects, referral sources, and colleagues are increasingly reading emails on their mobile devices. If they don’t like what they see, they may delete or ignore your messages. 80% of people delete an email if it doesn’t look good on their device. I’m not a mobile guru, but I’ve noticed three things that encourage me to read emails on my phone. “Short and sweet” is even more important on mobile devices, which may show as few as 15 characters of your subject line vs. 40+ characters on a traditional computer. Wearable devices could make things even tougher, as explained in “What effect could wearables have on email marketing?” by Wynn Zhou on memeburn. Traditional emails, especially multi-column e-newsletters, may be too wide to display well on mobile device. Below is an example of an image that’s too big to be mobile-friendly. I believe that traditional text-only emails will fit well on your mobile device, although you should still do your best to make your email short and easily skimmed. If you’ve been producing an e-newsletter for a long time, check to see if you can switch to a mobile-friendly or mobile-responsive format. I made the change earlier this year, using a template provided by Constant Contact. Attachments and mobile devices don’t play well together. Attachments are a pain to download and even more of a pain to read on a tiny screen. Want to share information beyond what’s in your email? Use a link to a mobile-friendly webpage. What works to entice you to read emails on your phone? Much of what works on mobile devices also works on traditional computers. Please share your insights. I enjoy learning from you. Boosting the power of your email subject lines is the best way for most people to boost the effectiveness of their emails. It’s a focus of my email presentations. In this post, I share subject-line tips from The Hamster Revolution: Stop Info-Glut—Reclaim Your Life! by Mike Song, Vicki Halsey, and Tim Burress. Some of their suggestions may be most useful to team members who email each other frequently. The Hamster Revolution suggests starting your email subject lines with words that define their category. “These categories build context and rapid comprehension for your reader,” say the authors. The meaning of “delivery” in an email subject line isn’t immediately clear. For this reason, it’s most appropriate for use with members of your team after you train them in its meaning. To me, “Info” signals that an email simply provides information; it doesn’t require a reply. If I’m waiting for that information, I quickly realize that the sender has satisfied my needs. On the other hand, I may be able to file the email without reading it. That’s a time-saver. I’m more likely to use FYI than “Info,” but either is fine. Abbreviations can help teams to communicate more efficiently. When I led an investment communications tea m at an investment management firm, we used “EOM.” As I discussed in “Fit it in your subject line EOM,” EOM appears at the end of the subject line and is short for “end of message.” It means that there’s no need to open the email because the entire message appears in the subject line. These subject line tips will be most powerful when used with your team members, especially after you’ve trained them on their use. When communicating with clients, you may prefer to skip category words in favor of other powerful words. For example, if clients are waiting for information on the XYZ Fund, the subject line “XYZ Fund info” more efficiently conveys your message than “Info: XYZ Fund.” This is because readers focus more on the first words of your email subject lines. Stay away from abbreviations such as EOM and NRN with clients, unless you know they understand them. You’ll confuse them. “…emails with no subject line were opened 8% more than those with a subject line,” according to “The one sales email subject line you’ve never thought to try.” That’s a provocative statistic offered by Anum Hussain of HubSpot, a respected provider of content marketing software. Reading that statistic might make you wonder if you should start sending emails without subject lines. “No!” That’s what I screamed when I read the introduction to Hussain’s post. Emails without a subject line scream that they are spam. I typically delete no-subject-line emails without opening them or even looking at the preview text. I don’t want my computers contaminated by their malware and ridiculous advertisements. I am fussy about email subject lines. I’ve even rejected a legitimate email sent by my husband. 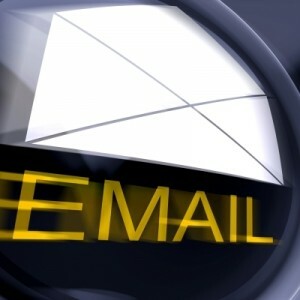 However, even Hussain admits that you shouldn’t start omitting subject lines in every email. That said, my personal opinion is that it’s highly unlikely that a cold email or first-time prospecting email will be opened with no subject line included. But once you’ve made a connection and are in a cadence of communication … the subject line may become unnecessary. I agree that I may open an email from someone I know when there’s no subject line. But I won’t like it. I’ll feel annoyed that the writer didn’t value me enough to write an informative subject line. My opinion? You should never send an email without a well crafted subject line.